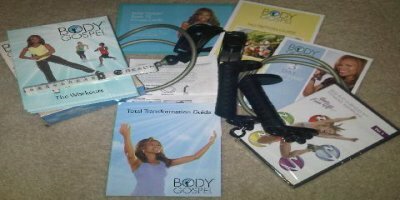 My Christian Fitness Workout, Body Gospel Workout Day 6 Topic: Win The Prize! You Can't Finish The Race If You Give Up. 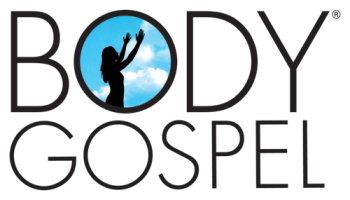 Today was day 6 of my Christian Fitness Workout, Body Gospel. I can't believe how fast this week has gone by. I've already completed one week of my 30 day workout program! Today's workout was Core Revelation (20 min) and Stretch In The Spirit (18 min). Because both programs are suggested for day 6, be prepared to allocate a little more time for today's workout. Or if you have to, choose one of the workouts and do just that one instead. My preference was to complete both workouts. I wanted to work on my core - I really want to see my abs tone up- and I love the stretch- much needed for me and helps me relax. "Know you not that they which run in a race run all, but one receives the prize? So run, that you may obtain." I don't know what prize you are seeking as a reward for completing your 30 day workout program. It may weight loss. Maybe you want to become healthier spiritually and physcially. Or maybe you just want to have fun and worship during your daily exercise routine. But, whatever the prize is remember the only way you will obtain it is by continuing in this 30 day race till the end. Me personally, I'm seeking to be the healthiest and strongest I can be both physically and spiritually. I'm so blessed not only by these workouts, but by the daily inspiration as well. I fully intend to run this 30 day race and win my prize! I blew this out the window this evening at my aunt's 82nd birthday party. At the party, my dinner consisted of 2 hot wings, a piece of fried chicken, a roll, some nachos, and a piece of vanilla cake. LOL None of those things are part of my Body Gospel Nutrition regime. But hey, I had a blast and I will be back on it first thing tomorrow. Remember today's scripture, "Know you not that they which run in a race run all, but one receives the prize. So run, that you may obtain." Think of this 30 day experience is your own personal race. Make the decision to stick to it. Some days you may feel better than others. That's okay. I experience the same highs and lows as well and I know they can be challenges at times. The important thing is that we don't give up. See you at the finish line! Be blessed!